HPM can take out fighter planes, tanks, ships, and missile systems. But it can also wipe out facilities for developing nuclear weapons. America's national laboratories have been working on these capabilities for decades. Unlike an electromagnetic pulse (EMP) created by detonating a nuclear weapon in the atmosphere, HPM leaves intact civilian facilities needed to sustain life. No matter what Obama has done until has done until now, no matter what he has taken from us so far, there is one thing we cannot permit him to do — bargain away the soul of our nation. While after the 2012 campaign, we may recoup our financial losses from his current failed domestic polices, we can never reclaim the soul of our nation if we embrace a foreign policy that forfeits our stance against tyranny in this world. The GOP must attack Obama foreign policy at it's core because it is a green light for the advancement of Iran's nuclear ambitions. There is no time to waste. We must stop the advancement of a cancerous, fascist, conglomerate, before it becomes inoperable, we must stop Iran NOW. Those who believe we can wait until after the election to deal with Iran, please re-think your position. We must never hesitate for one second to keep demanding that Obama take immediate action against Iran. Jack Goldbert a retired professor at Southwestern University of School of Law noted: "Waiting to defeat Obama in November still gives him until the end of January, three more months, to despoil America 's patrimony and undermine her foundation. It also provides time for his ideologues, entrenched within our country and abroad, to solidify their positions to further de- legitimatize America's standing in the world." The scope, size and damage of Obama's foreign policy leveled against America, Israel and the free world, is now reaching critical mass. While we were distracted by Obamacare and the rise of his entitlement society the transfer of world leadership to rogue enterprises was being accomplished without notice. The threat against America is no longer just dangerous but imminent and almost indefensible. Obama's foreign policy is now about to trump America's domestic concerns. We are about to be swallowed whole by Obama's political behemoth. The red line crossed when Obama partnered up with Russia to stop Iran has long ago disappeared. Not only is Iran marching unimpeded toward creating a nuclear armed state, the ground we have gained though the spilt blood of America's patriots is now being retaken around the globe. Russia has reemerged with a vengeance along with a modern day, re-tooled Communist China, and both have aligned themselves with the Iranian jihadist conglomerate (Syria, Hamas, Egypt, etc.) to impose their will on America. Incredulously, the mainstream media, along with the conservative media, keeps the myth alive that Al-Qaida is the ultimate threat to America and Israel. The attack on our consulate in Benghazi, Libya was just the tip of the iceberg. The attack at its core went far beyond the actions of some Al-Qaida operatives. What about the threat to American sovereignty from Iran, Syria, the Muslim Brotherhood, Hamas, Russia, China — what are they? Chopped liver. Iran is the epicenter of the ideology of Islamic supremacism and Israel eradication, not Syria, not Afghanistan, Yemen, the Muslim Brotherhood, nor Al- Quaida and the rest. They are Iran's terrorists surrogates. Iran, and Iran alone, is the standard bearer for global sharia law advocacy. Her terrorist tentacles reach far beyond the Islamic world even to South America, China, Korea, Russia, Europe, and Africa; all are now part and parcel of their world ending political agenda. Iran's revolution guard and their terrorist's surrogates attack and kill American and Israeli citizens and soldiers around the world. Iran is the proverbial Alpha male of the Islamic world because Iran alone continues to hold America hostage with an economic meltdown (A MANUFACTURED THREAT) if she doesn't agree to the creation of a nuclear armed Iran. Obama's failure to stand up to the Iranian threat radicalized the Middle East. Under Obama's tutelage there is now rampant anti-Americanism and turmoil throughout the region. Therefore, We the People must relentlessly demand that Obama eliminates the Iranian threat, now, regardless if it is politically correct to do so in an election year. For the threat from Iran is not only a threat to all our fellow citizens who must push this agenda forward but especially Americans of Jewish descent in order to prevent a second Holocaust. This is the one two punch that is needed to bring into focus the danger of Obama and his foreign policy and its threat to world order as a major part of our campaign to unseat him. While regime change in Tehran would be the preferable solution, there is almost no possibility of dislodging the mullahs in time. More sanctions today, even if by some miracle we did get support from Russia (comrade in arms with Syria, Iran's chief surrogate) it will simply be too little, too late. How can we end the Iranian nuclear threat without a ground invasion? Begin with a preemptive bombing attack so that Iran is effectively shut down. Destroy her communication and strike back capabilities, and then destroy all its enrichment facilities and its nuclear weapon infrastructure. The United States has the means and military capacity to complete this mission unilaterally and swiftly. Ronald Kessler reporting from Washington, D.C. — Ignored by the media, the U.S. Air Force last month successfully tested a missile that permanently zaps electronics without killing people or damaging buildings. Now there are no more excuses left. The Boeing missile emits high power microwaves (HPM) that fry computer chips so that no electronic devices targeted by the missile can operate. Called the Counter-Electronics High Power Microwave Advanced Missile Project (CHAMP), the missile was built by Boeing's Phantom Works for the U.S. Air Force Research Laboratory at a cost of $38 million. Why give Iran notice of our intent to attack with a deadline? Russian and the G8 have no intention of stopping Iran, Iran would immediately take action in the Straits of Hormuz and call upon the United Nations, Egypt, Syria and her other global jihadist cohorts for support. We must not give her that chance. The only choice left for the president is to declare "all options are on the table and all systems are go." From that point forward, it is up to Ahmadinejad to respond. The frightening fact is that a majority in both the Senate and House are still in full support of breaking bread with Mahmud Ahmadinejad in order to accomplish what President Roosevelt and President Kennedy knew is all too inevitable — when it comes to dealing with the Hitler's and Castro's of this world, believing that dialogs or sanctions are workable is tantamount to believing peace can be achieved with pathological liars and megalomaniacs who are intent on bringing down a reign of tyranny and terrorism upon mankind. "Stop Iran" were the words I kept hearing at rallies and from the halls of Congress for over five years. In speech after speech, I was told that we must stop Iran from becoming nuclear terrorist state in order to prevent Israel's destruction. 'Yes, Mahmud Ahmadinejad and the ruling mullahs in Iran must be stopped now but what did the prominent speakers mean by the euphemism, 'stop,' in the phrase, 'Stop Iran Now?' not a peep was heard from any of them demanding that President Obama take military action, yet the calls for sanctions, petitions, request to the White House, unbinding resolutions were and are still the actions they champion, despite the fact that Iran has no intention of being compliant. The point is these words: DEMAND THE PRESIDENT DESTROY IRAN'S NUCLEAR WAR MACHINE was never uttered, neither by the most pro-active Jewish organizations, nor by our Christian support groups. Someone explain to me how it is possible that 6 million people died in a holocaust and yet there still is no pro active campaign to make sure that their voices are heard in Congress. The day that Ahmadinejad said he would wipe Israel off the face of the earth, every Jew, everyone that supports Israel should have begun demanding that Obama destroy the Iranian nuclear infrastructure, yet this still is not the case. Shall those who perished in the Holocaust have died in vain? Are the Jewish people to linger passively until the time comes to react to another atrocity? Is there any other moral high ground we should be seeking? Astonishingly, our Jewish leaders did not believe that challenging and overcoming Obama's foreign policy (treating Iran with kid gloves) was a viable strategy, traditionally foreign policy is considered the responsibility of the president. As one sincere leader of a pro-active Jewish group said, "those who understand how the federal government works know that under the U.S. Constitution funding decisions are made almost exclusively by Congress. But the one thing over which the president has virtually exclusive control — and certainly the most important responsibility of the executive branch — is foreign policy." Thus the die was cast long ago by the Jewish intellectual elite that it would not be in our best interest to challenge Obama's foreign policy because we could not get the financial and political support needed to sustain such a campaign. This was confirmed to me by major player in the Jewish, pro-Israel movement. But the president is not infallible, nor is his policies, this is what our Jewish think-tanks all failed to understand — the power of the people when united to create change when our nation faces an imminent threat is the hallmark of our republic. To be brutally honest our most ardent American pro-Israel supporters have given credibility to the idea that the president's foreign policy is un-retractable, thus they wave the white flag of surrender to Iran and Islam. The flawed reasoning in the Jewish think tanks belies their lack of understanding of why our founding fathers created this republic. Under British rule we were denied due process and the right of recourse so they issued a Constitution that would honor that right and declare that right sacred and irrevocable. Of course we can overcome Obama's anti-Israel, sharia enabling foreign policy, our founding fathers would have it no other way. While Obama sits in the Oval Office and trivializes the death of our ambassador and the threat to our nation from Islamic jihad as a bump in the road, we must respond now, not in 2013. We must not allow him to desecrate the house our founders built. Americans of Jewish descent, more than other citizens, must rise up in one voice and demand Obama take immediate action to protect both American and Israeli citizens from the threat that Iran's fascist, global conglomerate poses. It is time to put to rest Obama's "Let them eat cake" agenda. Where the hell does he get the nerve to talk to the American people in such a manner? We didn't elect a monarch. Be assured every petty dictator hates to be upstaged, and Obama is no different, when we rise up and say that Obama cannot protect America from the Iranian nuclear threat this is the key to making Obama take action. Mahmoud Ahmadinejad must not be given the opportunity to accomplish his unequivocally-announced and pursued goal. We have no time to waste, the same vultures who have encircled Israel are now circling our nation, while Comrade Obama's and his pro-globalists acolytes, are knocking on our doors to get the vote out in the November election in order to seal America's fate. Some say a strong deterrence against Iran will stop them and prevent a world war, I say stop Iran now and end that possibility before it is too late. That is why in the name of our Founding Fathers and all who sacrificed their lives so we can enjoy the freedoms we have today, we the people must demand the renewal an America 's foreign policy that once again honors freedom, and our nations protocol, "Our eternal stance against the "advancement of global tyranny." It is this crucial shift in America's foreign policy that can reset America's image as the stalwart of liberty's decrees in the minds of our own people, our allies and, most importantly, in the minds of those nations which no longer fear our resolve — the ones which are intent on Israel's destruction. Call Congress (202) 224-3121. Tell your Senators and Representatives to demand that President Obama execute a preemptive strike against Iran: destroy its entire strike back capability and its entire nuclear weapons program. Before the October 22nd debate, the last one which was on foreign policy, I wrote in a pre-assessment showing that this was the chance for the Republican party to defeat Obama in a landslide election. If the there is a close election there is no doubt in my mind Obama will do every he can to steal the election. I do not have the luxury of time to go into a long discussion, but simply put, he will claim that the Republicans stole the elections last time in the Supreme Court and this time will be different. Over the last three years I have written with a sense of urgency about the need for the GOP to present a foreign policy that defines America's protocol amongst the nations of the world, her mission, her stated purpose and her ultimate objectives. Unfortunately because of internal disputes between Tea Party members and main stream Republicans regarding the involvement of America in world affairs nothing was done by either group. In the absence of such a critical assessment, President Obama has been able to move with impunity with a foreign policy that is surgically altering what our nation has stood for since its birth. Our stance against tyranny. To bring attention to this matter,and the threat to our national security and financial well being, I wrote a series of articles in the past four months chronicling the devastating effect that Obama's foreign policy was having on America and our identify as the leader of the free world. Regardless, of what Romney would have said about Obama's failed foreign policy in the debates, Romney would have been condemned by the mainstream media. If he was too strong in his criticism of Obama he would be called a war-monger, if he tried to move to the center they would charge there is no difference between their foreign policies. We cannot convert them, the Democrat Party has become a cult — it is time to say nuts to them and the cover-up of Obama's failed policies and their mainstream media propaganda machine. His job is to invigorate our base. The point is that victory for freedom over tyranny in this world lays in the balance, and Obama's foreign policy is the greatest threat to our victory and the future of our nations since the founding of our nation. Why were the Republicans not up in arms? Why are they letting Obama use his "I killed Osama bin Laden Academy Award," bestowed on him by his star struck followers as a political weapon, to stab America and Israel in the back? Under his presidency every religious fascist and secular totalitarian nation has teamed up against America and Israel. In the pre debate summary I sent to my membership at Never Again Is Now I said: The most crucial moment in the 2012 campaign, the game changer, the opening we were praying for will come in the debates when Romney must respond to Obama about foreign policy. Obama has repeatedly asked Romney what is his foreign policy for gaining victory in the war on terrorism, since his foreign policy seems to be the same as Obama's. Romney need only say: Sir, my position is that of George Washington, who said, "The Constitution is the guideline which I will never abandon." It is the Constitution of United States of America. National security must be the top priority of the President of the United States of America for he has pledged to protect this nation from enemies foreign and domestic. Under your tutelage there is rampant anti-Americanism and turmoil through out Middle East. How is it that you partnered up with Russia, an ally of Iran and Syria, to end the Iranian threat. Mr. Obama, we are here to rid the world of tyrannical enterprises, not prop them up and make them our partners in peace. Check mate Romney . Obama won the last election because he fired up his base with a vision of hope now Romney must rally our base. The GOP victory will hinge on whether or not Romney can awaken the American people to the pride we had for our country before Obama took office and led our nation down the road to spiritual, moral, and financial ruin. Wake up the Sleeping Giant and we will win the election hands down. Americans are sick of eating Islamic crow — who the hell do they think they are, telling us what we can or cannot say? This is not Iran or Saudi Arabia — this is America. We are tired of being pushed around by tyrants at home and abroad. GOP, these are the type of statements we need to hear Romney. Make us proud! Americans intrinsically rally behind leaders who stand up and take on the enemy. As Americans we do not apologize and beg on behalf of the Constitution of the United States of America. We don't take marching orders from religious fascist or their secular totalitarian brethren. We are here to rid the world of tyrannical enterprises, not prop them up and make them our partners in peace. We stand with the Constitution and its Covenant as our stalwart, if not we stand for nothing at all. Yet I never heard theses words from Romney or nothing similar in fact. This election should have been in the bag but it is now too close. I am truly concerned that God forbid if we lose this election we will have but one choice: To withhold our payment of taxes for we can never finance Obama's Third world Communist take over — The Tea Party will have to leave Boston harbor and come to Concord. Below is a list of quotes from four essential essays published between May and September 2012, which make the case that the GOP had no essential guideline to understand that Barack Obama's foreign policy would present a greater threat to our union than his domestic agenda. These are the exact words I wrote in „We the People are the 100%" — This was published two weeks before the uprising on September 11, 2012 when 20 American embassies around the world were attacked and 4 Americans were killed, including our ambassador to Libya, and 2 Navy Seals. As the debate rages about which system best serves our domestic concerns, Obama's foreign policy, which is now a threat to America's national security, comes into play. The focus will shift to which party will be able to define America, what she stands for, who we are and our global mission. America has reached the tipping point in a global conflict in which victory for freedom over world tyranny lays in the balance. Iran is one step away from establishing a nuclear terrorist empire. Leading up to the midterm elections, all we heard from the GOP were concerns about Obama's domestic policies and our freedoms being usurped from within. In reality, the greatest threats to our nation and the free world is Iran and Obama's foreign policy. Now the Iranian threat is imminent. Is the GOP still the party of Reagan? Ronald Reagan said, "Mr. Gorbachev, tear down this wall." It's time to throw down the gauntlet like Reagan before us. Its our turn to say to Obama, "End this dangerous game. Destroy Iran's terrorist nuclear facilities now. America, Israel, and the Free World will not survive a nuclear-armed Iran." And still, there is silence. Where is the outrage!! This is the Constitutional Guideline we must follow, that guarantees our freedom and prosperity, and gives us a victory over Obama and the advancement of global terrorism and tyranny. We can recoup our financial position after the 2012 election, even repeal Obamacare, but we can never reclaim the soul of our once-proud nation if we abandon what has secured our freedom and unending good fortune. We must never invalidate the Constitutional guidelines that guarantees our freedom and prosperity. Domestic and foreign policies are different sides of the same coin — only when we invest our lives and fortunes to defend our fortress of freedom from both enemies foreign and domestic does that coin shine like gold. In order to remain a free and prosperous republic, the GOP must now address both domestic and foreign threats to our nation with equal fervor. In this same essay (No Fear-Zone on Obama's foreign policy) I discuss the true nature of Obama's foreign policy. Now more than two centuries later, America has a foreign policy that mirrors the same position of those who openly opposed George Washington. What a reversal of fortune! Like the traitors in Washington's time, Barack Obama promotes the fear of offending the offenders of freedom in order to avoid retaliation and economic ruin. Obama brands patriots as fanatics, fear — mongers, a danger to national security because they speak out against those nations who conquer and enslave in Allah's name. America is not threatening the world with nuclear terrorism. Who is he labeling fear-mongers? — those who demand we defend ourselves from the treachery of Islamofascism from within and afar. Any political initiative that attempts to muzzle our first amendment rights, free speech, to protect against the slander of Islam is Shari'a-compliant, and an affront to America's Constitution, for it provides a clear path to victory for our enemies. Since when does America avoid naming her enemies for fear of retaliation and economic ruin? Did our media never mention the Nazis by name? Did General MacArthur not speak of the evils of the Japanese Empire during World War II? Yet, America, a nation that time again has risen from the ashes of her own iniquity to serve liberty's just purpose and noble cause; a nation that has subdued the raging forces of tyranny's evils that would condemn humanity to an endless nightmare of terror and oppression, now has her noble mission called into question. How is it possible that our own news media just discovered this situation exist. A wonderful, intelligent woman, Dana Perino, on Fox news, two days after the embassies were attacked, finally realize that Our First Amendment rights are under attack not only by the Muslim world but by the president. This is the typical reactive behaviour of people who have no guideline in understanding the true nature of the war we are in and that America is under attack. The RNC Convention: A Sharia compliant affair? Waiting to defeat Obama in November still gives him until the end of January, three more months, to despoil America's patrimony and undermine her foundation. It also provides time for his ideologues, entrenched within our country and abroad, to solidify their positions to further de-legitimatize America's standing in the world. Therefore, we must challenge and overcome Obama's sharia enabling foreign policies, which if unattended, will lead to world wide damage. We are fighting the good fight, but we will not harvest victory if we abandon our stance against the advancement of global tyranny. We need a gut check — the GOP is skirting the essential issue that will determine the future of our nation and the free world. The scope, size and damage of Obama's foreign policy leveled against America, Israel and the free world, is now reaching critical mass. While we were distracted by Obamacare and the rise of his entitlement society the transfer of world leadership to rogue enterprises was being accomplished without notice. Our opportunity to avert a cataclysmic occurrence is about to vanish, while a living nightmare is only moments away. In light of what is at stake, if we do not stand up immediately to remedy this situation, our nation could go down even after the November 6th election. In the movie "Jaws," when police chief Brody sees the size of the great white shark they will have to face, he turned to the shark hunter, Quint, and said, "We'll need a bigger boat." Likewise Obama's foreign policy is now about to trump America's domestic concerns. We are about to be swallowed whole by Obama's political behemoth. We need to reassess our position. The defining moment that will challenge the very foundation of Western civilization has come like a thief in the night. The threat from Iran, as a nuclear armed terrorist state, to American citizens is no less foreboding than Iran's supporting cast, Russia, China, and the UN, all of whom are taking over world leadership from America. This global threat is imminent as the life lines that connect the nations of the free world continue to be severed around the globe by these totalitarian hoodlums. The ground we have gained though the split blood of America's patriots is now being retaken by Russia, which has reemerged with a vengeance and along with a modern day re-tooled Communist China, both have aligned themselves with the Iranian Jihadist conglomerate (Syria, Hamas, Egypt, etc.) to impose their will on America, Israel, and what ever is left of the European Union. These same vultures who have encircled Israel are now circling our nation, while Comrade Obama and his pro-globalists acolytes, are knocking on our doors to get the vote out for November in order to seal America's fate. We must stop the advancement of this global, fascist conglomerate before it becomes an inoperable cancer. We must stop Iran. Stop Iran, you stop Syria, you stop Hamas, you stop China, you stop Russia — because Iran's influence will severed. Cut off the head of the snake and the rest will follow. Every week the Honorable Ambassador John Bolton appears in the news media and the lecture circuit as a bearer of bad tidings, reporting that Iran is ever closer to becoming a nuclear terrorist empire. In the meantime, Obama continues to promote a sharia-compliant peace agenda that can only lead to a nuclear-armed Iran. While he remains unchallenged by the mainstream media, our leadership is outrageously silent, they are timidity disgraceful, acting as though it's a fait accompli. And I wonder how it is that not one God-fearing Jewish, Christian, or Congressional leader will muster up some of the good ol' American can-do spirit and declare, "We will not permit Obama to sell America or Israel downriver." If America truly is a sanctuary of freedom for all the oppressed in the world, we cannot stand by and let Obama give victory to radical Islam and worldwide tyranny. If you think you can ignore your responsibilities as a citizen when there is an imminent threat to America's Constitution and one of our closest allies, Israel, and still think that we can gain a victory in 2012, you are sadly mistaken. The GOP continues to concentrate on domestic affairs as their top priority, believing that if we get our nation's finances in order, we can move forward. No. The greatest threat to our Constitution, our prosperity and our freedoms is looming from Iran and her Sharia protocol. It's not that the Islamists in America or the BDS in our universities don't pose a serious threat, but it's not immediate — although we must remain ever vigilant. It's from Iran, Ahmadinejad and the imams, who are one step away from securing a nuclear-armed terrorist empire that would give ultimate victory to Sharia and Islam over America and our Constitution. This is a point being disregarded by those who are on the front lines of defending America from Sharia today. We all have our different missions in our fight against Islamo-fascism when we find ourselves at the mercy of a President who refuses to protect and defend our nation from an existential threat. At that time, all patriots have one duty and one mission only — to unite as a force of one to protect and defend our Constitution, the foundation upon which our free Republic stands. If we allow Obama's policy of compliance to Iran to go forward unchallenged, we too become sharia-compliant and abandon our Founders' dreams to secure a world free from the horrors of tyranny and oppression. Once we lose sight of the purpose of our nation's existence, we lose our identity and our grip on victory over global tyranny. We are the defenders of liberty. We do not bow down to kings or take our marching orders from the United Nations. We are here to rid the world of tyrannical enterprises, not prop them up and make them our partners in peace. And most importantly, we do not abandon our allies, especially Israel, with whom we have a shared destiny as both nations are bound by the Covenant and Constitutional decree. Without the Ten Commandments, the underpinnings of moral advancement in humanity, we would not have had the moral and ethical imperative that produced the laws that framed our Constitution, without which the ideals that our Republic adheres to could never have been actualized. It is these same ideals embraced by the Covenant that Abraham received from God that bind America and Israel to a common endeavor, the ongoing quest to secure a world, free from tyranny and the forces of oppression. While Israel, as the keeper of the Covenant, is the light unto all nations, America is the keeper of the flame of freedom, so the Covenant of redemption and revitalization can be shared by those who suffer under tyranny. Now, as both America and Israel find our nations at war with radical Islamic savages and secular-totalitarian barbarians whose dominions and cultures embrace laws devoid of the Covenant's morality, we must summon our courage to conduct our nation's business and rid the world of the threat we face from Iran's emerging Nuclear Terrorist Empire, or we will be put out of business by Iran and those whose joint antipathy towards both America and Israel is relentless and unending. 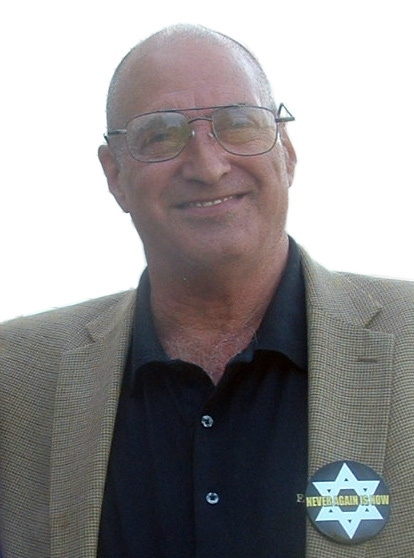 Stanley Zir has dedicated his life's work to two issues: (1) combating forces that undermine the unique freedoms held by American citizens, and (2) the importance of the safety, security and survival of Israel. As founder of several websites, he is unafraid to spotlight incongruity, illegalities and treason in government power plays. 1) http://www.neveragainisnow.com/ and http://www.neveragainisnow.net/ contain hundreds of essays and information highlighting government policies that run counter to the Constitution's Rule of Law and its firm stance against absolute power, especially as it relates to an anti-Semitic and anti-Israel platform. 3) http://www.scrapthedeal.com/urgent/ is a comprehensive website about the treasonous Iran Nuclear Deal and the erosion of Israel's security, with emphasis America's betrayal of her only democratic Middle East ally is unconstitutional and threatens the free world. Mr. Zir received the highest award for Valor by SGI NY Community Center for protecting its membership from an armed assailant, sustaining a life-changing stab wound to his lungs. His "in-your-face" approach to American leadership and commitment to standing up to tyranny evolved from the 30 years spent empowering and training disadvantaged youth in the Black and Spanish ghettos of NYC, instilling in them a sense of pride, respect and citizenship by staging cultural events throughout the City. Mr. Zir received Letters of Commendations for his support of American values from the Joint Chiefs of Staff and from Voices for a Democratic Cuba. Mr. Zir serves as the Civilian Corps Coordinator for Operation Firing For Effect (OFFE). Since 2001, he has been a regular on-line Op-Ed contributor to Israel National News, ReNew America, DrRichSweir, & OFFE. His works also appear on Neo- Conservative, Pro-Zionist platforms including Jewish Voice NY; Jewish Voice & Opinion, 911/ Patriots, Tea party patriots, Howard Adelman blog, Canada Free Press, Hezbollah Watch, and Ruthfully Yours. Mr. Zir is currently coordinating the American publication of Russian hero David Silberstein's collection of Latvian Holocaust testimonies, "And You Saw That"